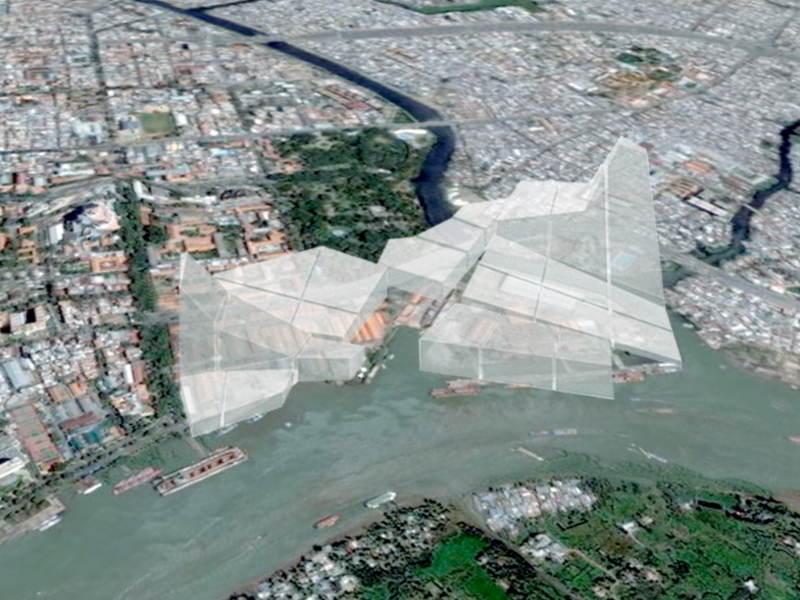 Located on the riverside of the Mekong River, which crosses the old and new cities of Ho Chi Minh, Ba Son is a cultural complex space that integrates work, play, and life, reflecting the needs of the young intelligentsia, the main force of the high-speed economic growth of Vietnam, its history, and its dynamic culture. 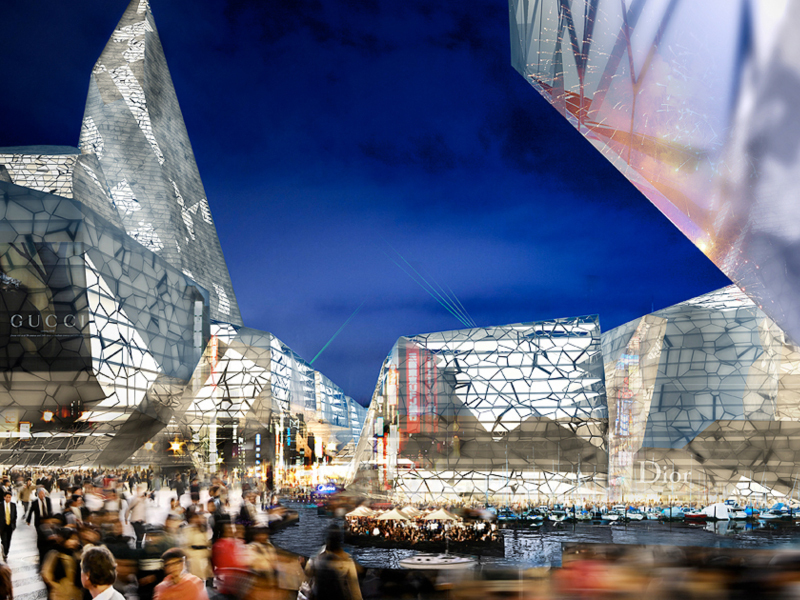 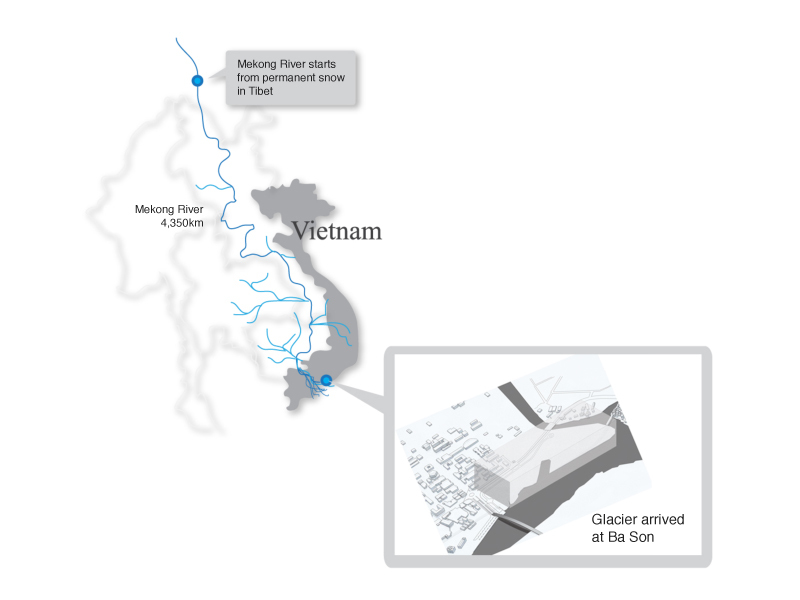 Planning Korea suggested a national economic profit generating city of Vietnam with a unique concept that reflects global urban trends.It would help Ba Son become the Mecca of the culture and tourism industry, much along the lines of Dubai or Macao. 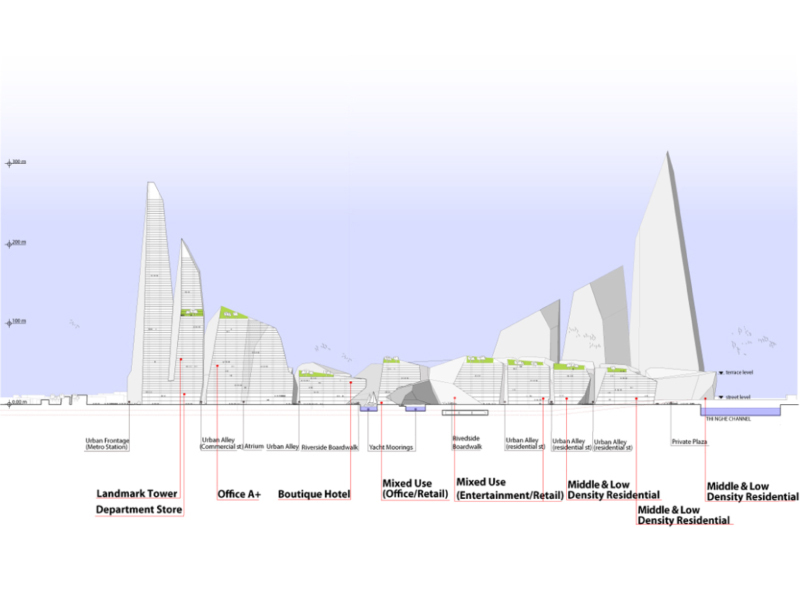 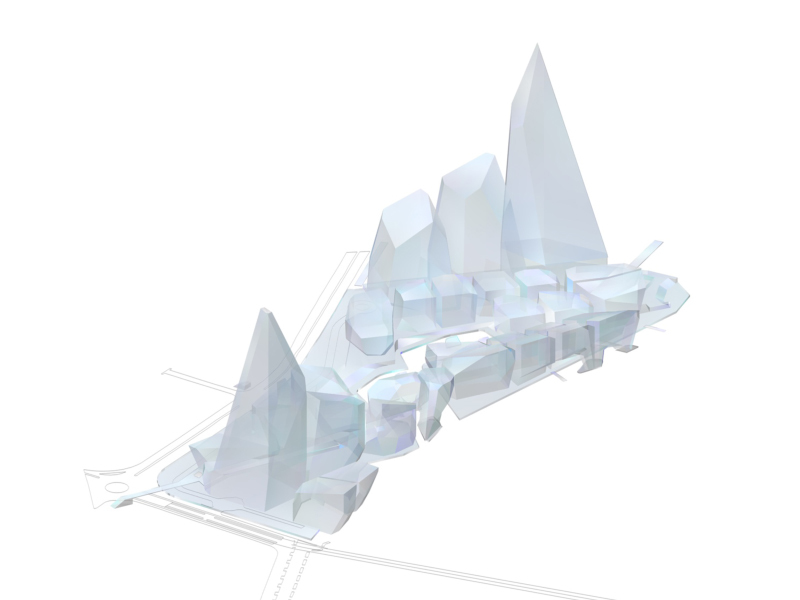 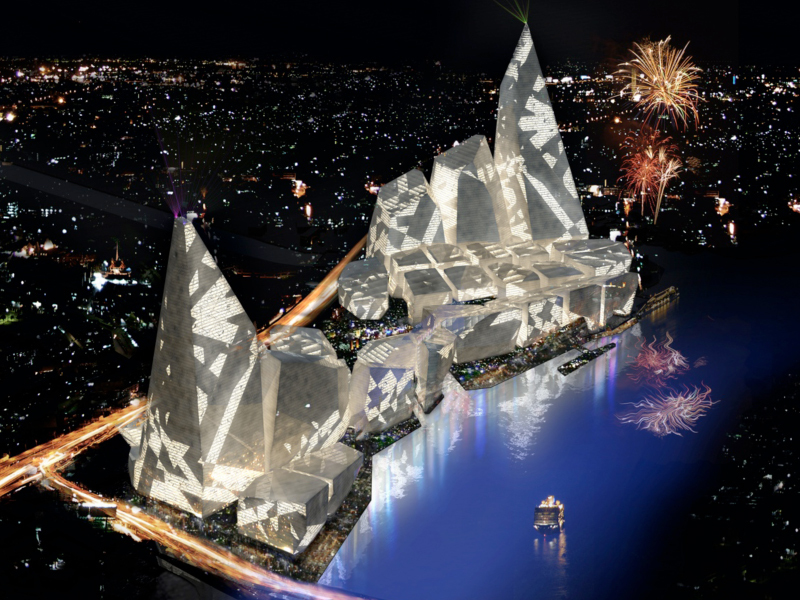 Having permanent snow as a motif based on the fundamental translation of the Mekong River, the main artery of Southeast Asia, the glaciers from the Mekong River divide and break along the axis of the old and new city of Ho Chi Minh, bringing a visual coolness and mystic vision with the configuration of dynamic buildings.